seeking to recover for injuries she sustained in a motor vehicle accident that occurred on December 8, 2012. The Plaintiff's vehicle was struck by a car driven by Collin Ward Crane, who died as a result of injuries he sustained in the accident (herein after referred to as `Decedent’). Plaintiff alleges that the Decedent's girlfriend, Taylor Cratsley, [a named defendant], (herein after referred to as `Cratsley’), was texting the Decedent while he was driving, thus distracting him and causing the accident. Plaintiff moved for partial summary judgment on the issues of liability and serious injury. These motions were granted against the decedent, his estate and his father and reduced to a separate order, which was granted on December 7, 2016. Cratsley, moved for summary judgment seeking to dismiss the Plaintiff's action against her in its entirety. The Court reserved on Cratsley's motion for Summary Judgment, which now follows. [o]n December 8, 2012, a motor vehicle accident occurred on New York State Route 33 when the vehicle driven by the Decedent struck head-on a vehicle driven by the Plaintiff. The New York State Police investigation concluded that Decedent's vehicle crossed the center line before colliding with Plaintiff's vehicle. Though the accident was unwitnessed, New York State Police investigators concluded that the Decedent most likely was distracted, as there were no signs that Decedent attempted to avoid or take evasive measures to elude contact with the Plaintiff's vehicle. Upon inspection of the Decedent's vehicle, investigators located a cell phone on the floor of the driver's side, in front of the Decedent and between his legs. The cellular phone, which was significantly damaged, was examined by the New York State Police. Upon inspection, it appeared that the Decedent and Ms. Cratsley were texting before the accident occurred. After recovering the digital information from the Decedent's cellular phone, New York State Police investigators interviewed Ms. Cratsley. She indicated to the investigators, and subsequently confirmed in her deposition and later an affidavit, that although she was texting the Decedent on the date of the accident, she was unaware that the Decedent was driving at the time they were exchanging text messages. (See Affidavit of Taylor Cratsley, dated November 21, 2016). Mrs. Cratsley added that often, when the Decedent was returning from work, a family member would pick him up and drive him home. She also stated that on the date of the accident, although she was aware he was working, she was unaware if he was driving himself or getting a ride to work. Cratsley testified at her deposition that she never expected nor asked the Decedent to send her text messages or read text messages while driving. None of the text messages produced contradict Mrs. Cratsley's testimony. Cratsley moved for summary judgment, arguing that since New York State does not recognize a duty to control the actions of a third party, there existed no special relationship between Cratsley and the Plaintiff that would give rise to any special duty. Plaintiff opposed the motion, citing New Jersey precedent that establishes a special relationship and resulting duty under similar circumstances. Plaintiff acknowledges that there is no New York State precedent to establish a duty that would obligate Cratsley to protect a third party, namely the Plaintiff, from harm. Plaintiff submits that the matter before the Court is a case of first impression in the State of New York. However, the Plaintiff maintains that the duty that should be imposed is consistent with the public policy of the State of New York, which has established similar duties to third parties in other cases. If Plaintiff's argument is entertained, the Court would be forced to engage in a profound re-examination of negligence law that was addressed in Palsgraf v. Long Island R.R., 248N.Y. 339, 162 N.E. 99 (1928). Palsgraf, an oft-cited authority, held that in order to recover for the negligent act of others, a plaintiff must establish duty, standard of care, breach of duty, and proximate cause. Since Palsgraf, New York courts have carefully examined those components to establish negligence and have elaborated on them to justify a recovery for damages. Plaintiff cites to a New Jersey case that establishes liability in circumstances where a person contributes to a driver's distraction that results in an accident that causes injury. In Kubert v. Best, the New Jersey Superior Court, Appellate Division, held that a third party, who had knowledge that the motorist they were texting was driving at a time the parties were exchanging text messages, could be found liable for any resulting damages. 432 N.J.Super. 495, 75 A.3d 1214 (N.J.App.2013). In Kubert, the Plaintiffs were riding on a motorcycle when a driver crossed the center line and struck them. Both Plaintiffs lost their legs as a result of the injuries they sustained in the accident. Not only did the Plaintiffs sue the driver who struck their motorcycle, but they also sued Shannon Colonna, the party who allegedly was texting the defendant motorist. At her deposition, Colonna testified that she had sent the defendant 180 text messages in less than twelve (12) hours on the day of the accident. Colonna also testified that she did not pay attention to whether the recipient of her texts was driving a car at the time or not. On motion, the underlying New Jersey trial court granted Colonna summary judgment holding that she had no legal duty to avoid sending text messages to Best even though she knew he was driving. The Appellate Division reversed, though still affirming summary judgment on behalf of Colonna. While affirming that Colonna could not be held liable because of the lack of proof demonstrating she knew Best was indeed driving at the time the texts were exchanged, the Appellate Division concluded that `a person sending text messages has a duty not to text someone who is driving if the texter knows, or has special reason to know, the recipient will view the text while driving. Id. Because the Plaintiffs had failed to establish that Colonna had such knowledge while texting Best, she could not be held liable for the resulting injuries caused by the accident. Plaintiff would have this Court adopt the reasoning employed by the New Jersey Appellate Division in Kubert to deny Cratsley's motion for summary judgment. Plaintiff also relies on to Sartori v. Gregoire, wherein the Fourth Department held that a passenger in a vehicle could be held liable for verbally or physically distracting a driver immediately prior to an accident. 259 A.D.2d 1004 (4th Dept.1999). Further, Plaintiff argues that the Restatement (Second) of Torts § 303, which provides, `[a]n act is negligent if the actor intends to affect, or realizes or should realize that it is likely to affect, the conduct of a third person in such a manner as to create a duty not to interfere with the driver's operation,’ applies to the facts present here. In opposition, Cratsley argues that the Plaintiff's argument stands in stark contrast to established precedent in New York. Cratsley maintains that she had no duty to control the conduct of the Decedent when he was driving. While undoubtedly there are certain circumstances that would establish a third-party duty, Cratsley argues that those facts do not exist here. Cratsley submits that New York law does not place a legal duty upon an individual who lacks control over the third party's actions. Pulka v. Edelman, 40 N.Y.2d 781, 390 N.Y.S.2d 393, 358 N.E.2d 1019 (1976). Pulka, Plaintiffs sued not only the driver who struck a pedestrian, but also the owners of a parking garage. Plaintiffs argued that the garage owners owed a special duty to surrounding pedestrians. The Court of Appeals found that the garage operators owed no duty for an accident that occurred when a patron exited and struck a pedestrian. Pulka stands for the well-settled principle held that before causation could be examined, a legal duty first must be established. The Court of Appeals addressed the question of whether owners of the garage owed a duty to pedestrians. The Court of Appeals held that the owners did not owe such a duty, and refused to hold a garage operator liable for the acts of its patrons. Further, the Court of Appeals held that there needed to exist a duty, wherein the garage operator owed a special obligation to a pedestrian from one of its patrons, before liability could be established. Again, the Court held that there existed no special duty. In fact, the Court held that because of the lack of any special duty between the garage operator and its patrons or between the garage operator and pedestrians, and the lack of any reasonable expectation that the garage operator could control or prevent the negligent conduct of its patrons, no legal duty existed. Id. at 785–786, 390 N.Y.S.2d 393, 358 N.E.2d 1019. 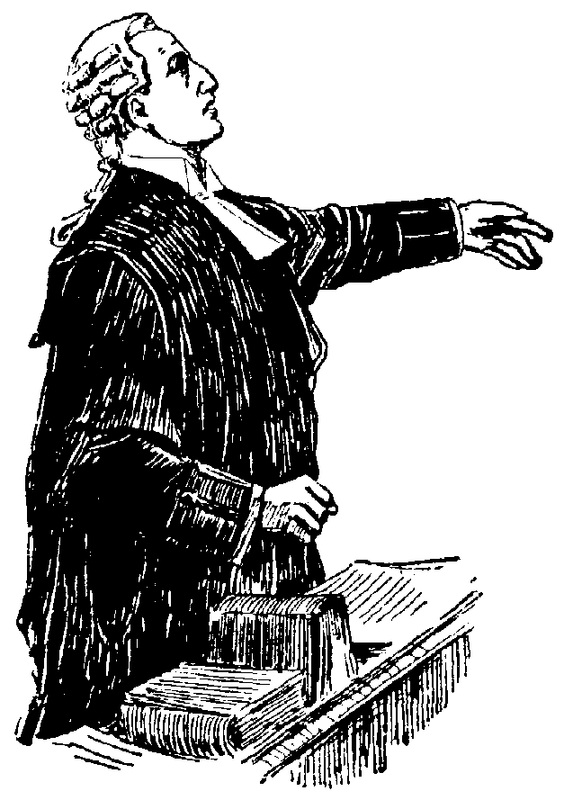 Here, the Decedent, his estate and his father simply maintain that `a defendant generally has no duty to control the conduct of third persons so as to prevent them from harming others, even where as a practical matter defendant can exercise such control.’ D'Amico v. Christie, 71 N.Y.2d 76, 524 N.Y.S.2d 1, 518 N.E.2d 896 (1987). [t]he argument advanced by the Plaintiff is unique in New York when considering the established body of precedent on the issues of proximate cause, foreseeability, and duty. While states such as New Jersey, as memorialized in Kubert, advance a different standard, courts in New York have either been reluctant to broaden the principle of negligence law or simply refused to do so. The principle of negligence law is that in order to impose liability for a negligent act, the act must be the proximate cause of the injury that resulted therefrom. NY Jur.2d, Negligence § 47. In a motor vehicle accident, `an act or omission is a proximate cause of an accident if it was a substantial factor in bringing about the accident. That means if it had such an effect in producing the accident that reasonable men or women would regard it as a cause of the accident.’ Rubin v. Percoraro, 141 A.D.2d 525, 529 N.Y.S.2d 142 (2nd Dept.1988). The injuries or the damages complained of must have been those which might have been foreseen by a person of ordinary intelligence and prudence, although not necessarily in the precise form in which they occurred. Kellogg v. Church Charity Foundation of Long Island, 203 N.Y. 191, 96 N.E. 406 (1911). The Plaintiff wishes to re-examine the long-standing doctrine of negligence law established in Palsgraf v. Long Island Railroad, supra. Palsgraf has been hailed as `perhaps the most celebrated of all torts cases and one of the best-known American common law cases of all time.’ William Prosser, Palsgraf Revisited, 52 Mich. L.Rev. 1, 1 (1953). Although familiar to the bench and bar, the facts of Palsgraf deserve mention. In Palsgraf, a man who was carrying a package ran to board a departing train. One of the railroad guards noticed the man and attempted to pull him onboard the train. At the same time, another guard pushed him from behind. In doing so, the man dropped a package containing fireworks to the ground. Willis W. Hagen II, Accountants Common Law Negligence Liability to Third Parties, 1988 Colum. Bus. L.Rev. 181 (1988). `An explosion which occurred caused a scale at the other end of the platform to fall on [Palsgraf], who sued the railroad for damages.’ Id. at 201, 96 N.E. 406. [i]n every instance, before negligence can be predicated of a given act, the act must be sought and found a duty to the individuals complaining, the observance of which would have averted the injury. Thus, where the injury to the particular plaintiff is not reasonably foreseeable, the defendant does not have an obligation to refrain from negligent conduct. Since the defendant does not have a duty to exercise ordinary care toward unforeseeable persons, liability for negligence does not result. Id. at 342, 162 N.E. 99. Cardozo held that the defendant could not be liable as he could not have reasonably foreseen a risk of injury to the Plaintiff. As such, the defendant's duty of care did not extend to the Plaintiff. In Palsgraf, the defendant could not have reasonably foreseen that the plaintiff, who was standing at the other end of the platform, would be injured as a result of an explosion caused by a falling package that occurred on the opposite end of the platform. As such, because it was not reasonably foreseeable, no duty of care was owed. Vega v. Crane, supra. [h]ere, Plaintiff asks to modify this standard to broaden the scope of duty from what should be reasonably foreseeable. In particular, Plaintiff is asking that a party texting a person who could be driving should be held liable for the foreseeable risk that might result from this conduct. Although New Jersey may wish to employ such a departure, this Court declines to do so. The Plaintiff's approach longs to have this Court adopt a standard that is a significant retreat from established law in this area. While Plaintiff offers a detailed analysis suggesting that there already exists a pad from which to launch this undertaking, much of the precedent cited by Plaintiff can be distinguished and does not support her sweeping conclusion. Relying on Restatement (Second) of Torts § 305, Plaintiff suggests that New York law could be construed to impose liability on an individual who could or should have known that their conduct might result in harm to an unrelated third party. Referencing Sartori v.Gregoire, Plaintiff maintains that a passenger may be liable for verbally or physically distracting a driver immediately prior to a collision. 259 A.D.2d 1004 (4th Dept.1999). The facts of Sartori are quite different from not only those present here, but from the standard for which Sartori imposes on similarly situated defendants.In Sartori, `the defendant commenced a third-party action against a passenger in her vehicle, alleging that his unwanted sexual advances towards her immediately before she started her vehicle caused her to forget to turn on the vehicle's headlights.’ Id. [w]hile a passenger in a car may be liable if he distracted the driver while operating the vehicle immediately prior to the accident, (see, e.g., Collins v. McGinley, 158 A.D.2d 151, 153, 558 N.Y.S.2d 979, appeal dismissed 77 N.Y.2d 902, 78 N.Y.2d 1002; Whalen v. Daugherty, 30 A.D.2d 604, 290 N.Y.S.2d 3, lv denied 22 N.Y.2d 647, 295 N.Y.S.2d 1029, 242 N.E.2d 495) it is undisputed that the third-party defendant had no verbal or physical contact with defendant once she started her vehicle and drove out of the parking lot onto the main road where the accident occurred. Thus, third-party defendant's conduct cannot be deemed a proximate cause of plaintiff's injuries. Id. Here, Cratsley was not in the vehicle with the decedent as was the case in Sartori, thus depriving her of the first-hand knowledge the defendant in Sartori enjoyed. Therefore, the holding in Sartori is misplaced. Second, Sartori does not address the issue as to whether a third party, who has no knowledge whether a defendant was driving, owes any duty to others. Clearly there is a greater nexus between a driver and a passenger than the scenario that exists here. [i]n Purdy v. Public Administrator of Westchester County, a resident of a local nursing home, who apparently had use of a vehicle, caused an accident resulting in injury. 72 N.Y.2d 1, 530 N.Y.S.2d 513, 526 N.E.2d 4 (1988). The resident had a medical condition that left her susceptible to fainting spells and blackouts. The plaintiff in Purdy argued that the nursing home and its resident physician owed a duty to prevent the resident from driving or to at the very least warn her of the dangers of driving given her condition to not only the Plaintiff, but an unidentified member of the public. The Court of Appeals recognized that `there exist special circumstances in which there is a sufficient authority and ability to control the conduct of third persons that [have given rise to] a duty to do so.’ Id. at 8, 530 N.Y.S.2d 513, 526 N.E.2d 4. Notwithstanding that, the Court of Appeals declined to find the existence of a special relationship between the defendant and the resident that would require the defendant to govern their conduct for the benefit of the plaintiff. The Court held that neither the nursing home nor the doctor had the `authority or ability to exercise such control over [the resident's] conduct so as to give rise to a duty on their part to protect [the] plaintiff—a member of the general public.’ Id. at 8–9, 530 N.Y.S.2d 513, 526 N.E.2d 4. [i]f the theory advanced by the Plaintiff here is adopted, the expansion of liability to individuals who text message would be exponential. Should a Court accept the Plaintiff proposition, a party texting another, regardless of any specific knowledge, could be liable for an injury caused by the party receiving the text messages simply by virtue of the text being sent. In this day and age, where texts are routinely sent to, for example, advise the public of breaking news, that prescriptions are ready for pick up, or to advise that a bill is to be paid, the sender would be responsible for any injuries that could be caused should a driver become distracted by their receipt. With texting being as profligate, the potential expansion as contemplated by the Plaintiff is astronomical. This Court is not ignorant of the many steps taken by not only this state, but others in the nation, to protect against motorists from texting while driving. While that certainly is not the only issue presented for consideration, this Court does not believe it is the province of a Court to establish a precedent for want of a statute that otherwise has not been considered, let alone approved, by a legislative body. Though many would prefer a Court simply to make law where either a legislative body or executive has failed to do so, this Court does not believe that is its role. It is not the role of the judiciary to sit on high and promulgate what it believes should have been a policy determination made elsewhere. Instead, the courts have deferred to the wisdom, or absence of it, of the legislature in defining what is actionable and what is not. Rosenfeld v. Isaacs, 79 A.D.2d 630, 433 N.Y.S.2d 623 (2nd Dept.1980); Mobil Oil Corp. v. Higginbotham, 436 U.S. 618, 98 S.Ct. 2010, 56 L.Ed.2d 581 (1978). In short, courts are not free to decide what should be founded in statutory authority. This is the realm of the legislature. Simply put, if the legislature wishes to make actionable a third-party's texting to a motorist, notwithstanding their lack of knowledge that the person to whom they are texting is driving, they should do so. This Court refuses to establish this cause of action by judicial fiat. Accordingly, the motion for summary judgment made by Defendant, Taylor Cratsley, is hereby GRANTED. Defendant shall submit an Order on notice.